With the solar panel installation the next logical step in taking ownership of my contribution to climate change was to invest in a low emissions vehicle. After some research and going over the pros and cons my final choice was the Chevy Volt. 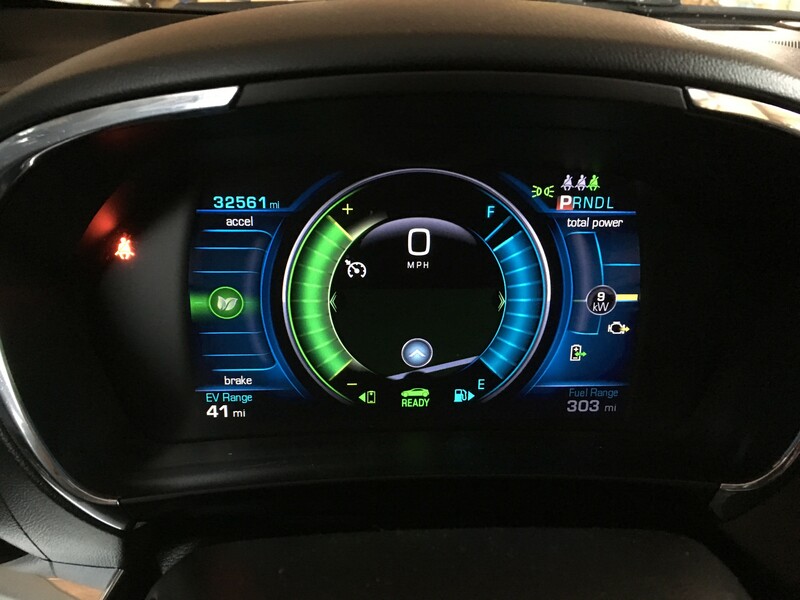 The Volt satisfies two major factors when it comes to usefulness of a electric vehicle; the volt is a pluggable and a hybrid electric i.e. PHEV. 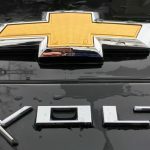 The volt technology has a great electric only range of a little over 50 miles while incorporating the hybrid engine to extend its range and mitigate the anxiety of range or the fear of being stranded by a depleted battery. 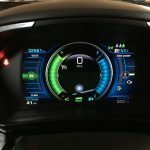 The Chevy Volt PHEV is the ultimate melding of the technologies and perhaps currently the most practical and immediate way to offset our unavoidable CO2 emissions. For the price this car is a fantastic value and has made it a leader in the EV lineup. There is possibly more technology packed into this car than any other on the road. I am not referring to the obvious visible technology such as autonomous driving technology or a fancy screen. This technology is hidden under the hood in the 2nd Generation Voltec Drivetrain. Here is a great page with a fantastic video explaining the drivetrain. 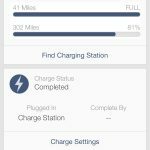 If compared to its most visible competitor the Tesla the Volt excels because of range and technology practical usefulness. Granted the Tesla is designed more as a sports car and not a daily commuter. 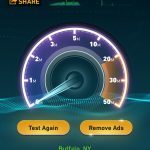 A seemingly simple and the desirable technology of the online line upgrade is missing as a software update requires a visit to the dealer. 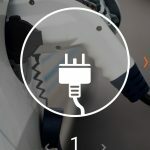 The Tesla will auto update over a data connection. 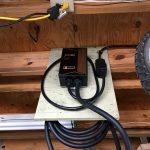 With the addition of the Volt to my current power demand I suspect that my current solar power generation may be tapped out. Luckily upstate NY gets a majority of its power from renewables and nuclear. There is also some satisfaction in that the volt provides a sense of freedom from the pump and ultimately the oil companies’ hold on us. My previous dino-fueled transportation (VW TDI) and I had a good run, and 214,000 miles later it did prove extremely reliable. I sold it to a local TDI enthusiast so it will be appreciated. At the time the hybrids were new arrivals to the markets and I was apprehensive of early adoption at the time. Also the boast of 50 mpg was a draw; best I ever achieved was 53 mpg on a trip home to Nyack. The route along old Route 17 has some good downhill stretches. I vowed not to purchase another car until I could purchase a car with better mileage. At the moment I am currently averaging 250+ mpg as I have only run on battery since I got it. 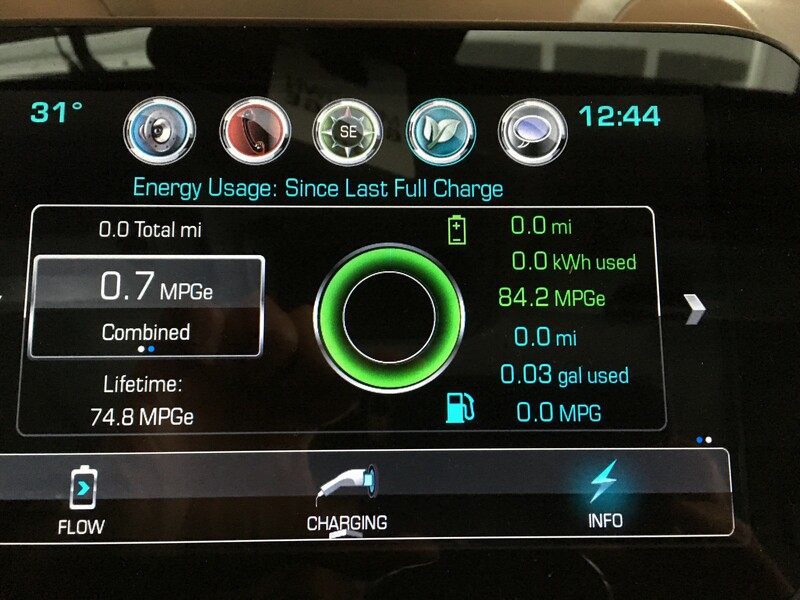 Overall the lifetime so far of 78 MPGe is not bad. The battery range is a bit reduced at the moment with the colder weather and I hope to see those few miles return in the spring. 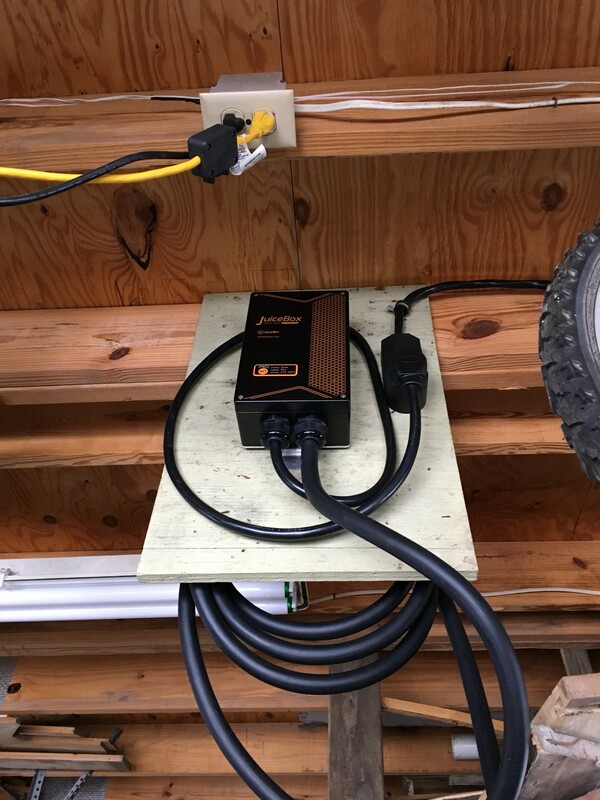 Over the past weekend I installed the 220v charging station. 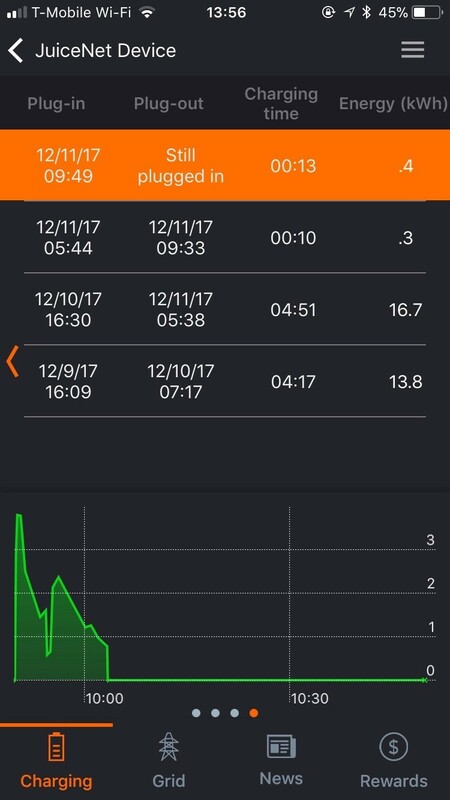 The JuiceBox Pro has a nifty app that allows you to monitor charging and power. 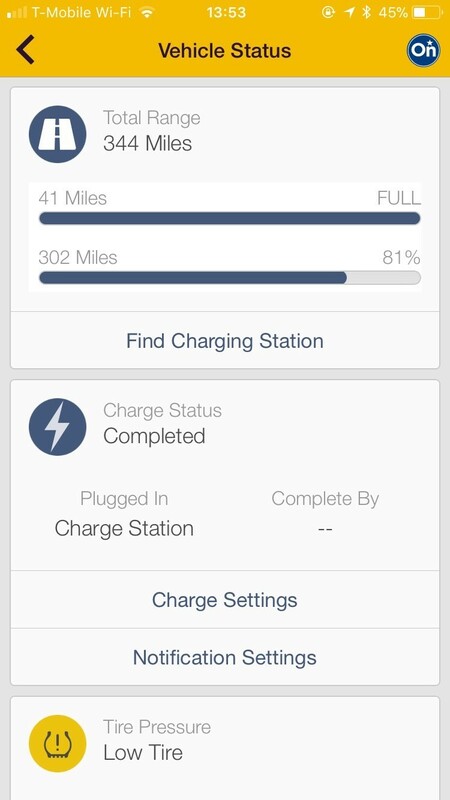 The new OnStar app now called the MyChevrolet App also has charging and vehicle stats. 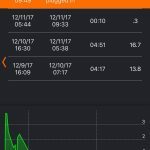 At some point I will research pulling stats for the car’s power consumption and the hope is to one day combine data into a single graph to provide a visual of my overall power distribution/consumption. 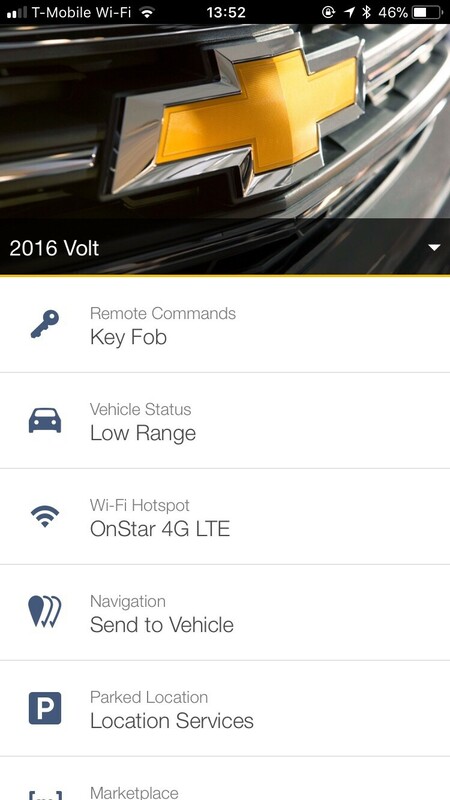 With the new purchase I get 1 year free of basic OnStar which includes free Wi-Fi hotspot. 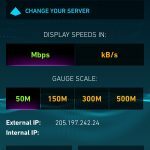 The current IP seems to be a sub allocation from MCI Communications Services, Inc. d/b/a Verizon Business. The app is a bit out of sync as it does not seem to match the actual car tire pressure. 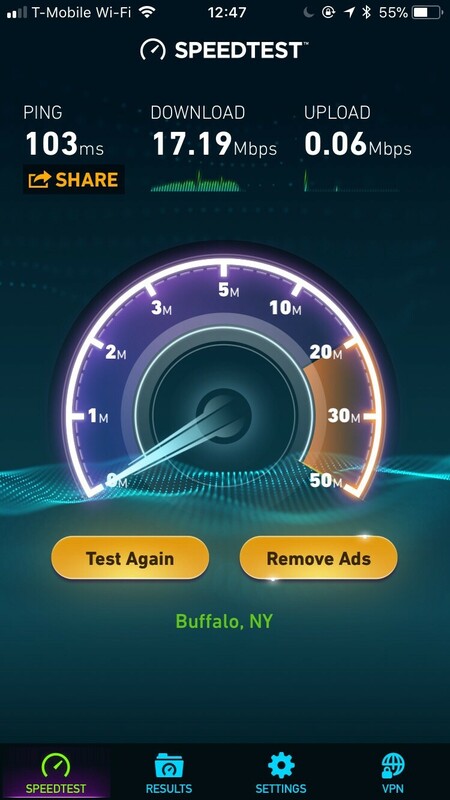 The speed test upload was not so impressive at least from my garage. I may make an appointment with the dealer as it’s under warrantee and check for software updates etc. 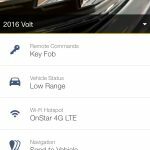 Chevy has previously tweaked the software to improve battery efficiency. The one new item that is a disrupter to the driving experience is the keyless entry. It is super handy however the nostalgic technology of a physical key is not missed however ritualistically seems missing. The Jetta was a manual so I was keenly aware of rolling resistance and the Volt’s rolling resistance seems extremely low and I suspect this is part of the design efficiencies. If I shift into neutral on the slightest incline the car will roll. I am suspect of the nudge of the classic automatic in that the car has the constant light push or “nudge” of the electric propulsion when in drive at a full stop. I’m sure this was added on purpose to prevent peddle transfer roll back. My sense is that there is currently no way to tell if this is disabled completely when applying the break however I am suspect and perhaps a mitigated energy waste. Personally I would be eager to know what variables are available for modifications and I would back off the nudge a bit and if possible take into account the incline if possible. 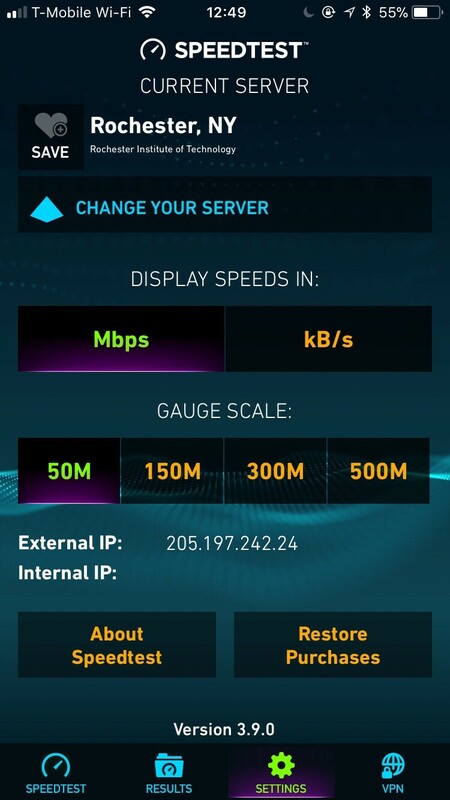 If a GM developer happens to stumble on this I would be a willing and eager beta-tester. The center stack or digital display is really lacking and could use a good facelift. The main center gauge display is also missing the wow factor. 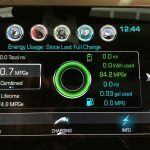 I suspect GM is sticking to the basic software and interface to save money. The car interior seems to be overwhelmingly plastic and in an overall comparison of price in other models the interior is lacking. I suspect the price/quality differential is the monumental cost of the batteries. The front styling of the car is very acceptable however the rear hatchback is a bit boxy and the center triangular molding of the rear bumper cover seems out of place and distracting. The hatchback is provides a large opening for cargo and was an attraction for me. All in all GM never impressed me with their interiors and the Volt’s interior is lacking with comparatively priced vehicles (BMW 3 series, etc.). The car could also use an increase in sound dampening as road and engine noise seems high. I would suspect GM would have put a bit more into their flagship PHEV to entice potential customers. My overall view is that we are still in the infancy of PHEV evolution and Chevy is a generic mid-market brand. In general this is an entry level utility vehicle for me so some of the obvious lower end details can be overlooked in lieu of the Volt’s PHEV technology. I see our future with EV/PHEV and smart grid technology paring with micro-grids and micro-storage. 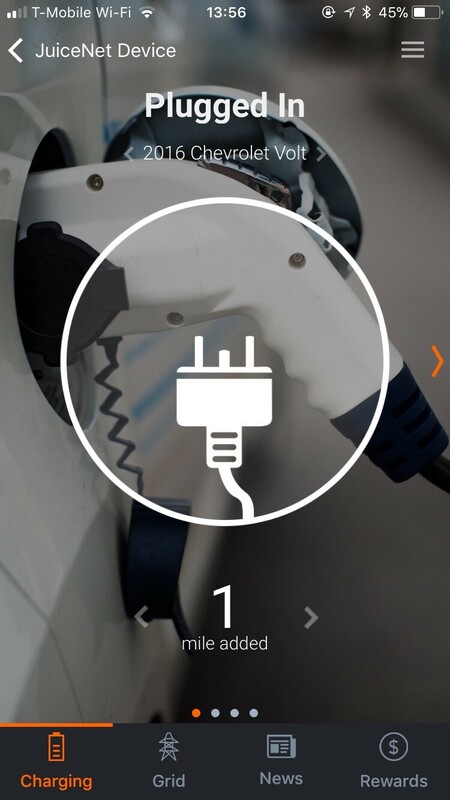 The storage capacity of EVs could provide for major efficiencies of power distribution. However this is a fantastic topic and perhaps is another post.